Last October, at the 26th Blue and Gold Quiz at Royal College, I met Lathikka Niriella, veteran quizzer, teacher, writer, and a great many other things besides. We took note of the scores, but waited rather impatiently for the questions to be read so that we could quiz each other. Eventually, we came to the last query: a short clip of a blind man singing a T. M. Jayaratne song about the consolations of life. The question was about the actor: Vijaya Nandasiri. They didn’t ask about the film but we knew: Nedeyo. That prompted us to talk about the movies, the Sinhala cinema, and more pertinently how as a child he went to the theatre to savour K. A. W. Perera’s films. He correctly surmised that just as much as the stories in them mattered, what really enthralled audiences was Premasiri Khemadasa’s music. I agreed, and then went off to more serious, subtle films. Eventually, we got to talk about Dharmasiri Bandaranayake’s Hansa Vilak. Hansa Vilak was what Regi Siriwardena called it: a permanent landmark. By opting for a taboo subject like adultery, it set down two precedents. One, it gave free rein to other directors to follow (it is telling, after all, that Vasantha Obeyesekere’s more daring work followed Bandaranayake’s debut), and two, it did away with the thin line between good and evil that actresses stuck to in earlier, as serious films. Again, it’s telling that a whole breed of actresses, even those as conventional as Malini Fonseka, went for directors who paired them up with themes they wouldn’t even have touched before. The actress responsible for this paradigm shift, Swarna Mallawarachchi, has today been credited for what she did. Rightly. But is it enough? From January 22 to 26, 10 of her best films were screened at the National Film Corporation, right down from Sath Samudura (her first) to Channa Kinnari (directed by the same man who got her back into acting 20 years later, Asoka Handagama). The Hall had room for only about 330 people, but it was housed by more than 400 virtually every day. Wading through these classics, one by one, even in as busy a month as January, would have been a priority for who came and watched, and for me personally, what defined them was how they traced Swarna’s evolution, as an actress and as a human being. This is not a conventional biographical sketch. This is a sketch, yes, but of a different sort. Hansa Vilak caught Swarna in a twilight world: she had just returned from her sojourn abroad and had been featured as a supporting character in four films: Ridi Nimnaya, Biththi Hathara, Sankapali, and Yahalu Yeheli. For that reason perhaps (on account of her inexperience), to her first real leading role she brought with her the qualities that defined her first few performances, in Sath Samudura, Hanthane Kathawa, and Thunman Handiya. 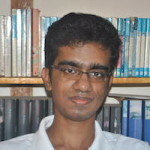 In the latter three films, she is essentially unsympathetic: in Sath Samudura and Thunman Handiya, for instance, she is hostile towards her mother-in-law (played in both by Denawaka Hamine) and brother-in-law (played by Cyril Wickremage in the former and by Joe Abeywickrama in the latter). In these she comes out as your typical jealous, spiteful in-law, who by even the subtlest gestures lets you know that s/he despises your presence. Mathara Achchi, which I have not seen in a long, long time, was different and unique: in it, she is almost the conventional lover, who awaits her lover even as she realises that he may not return. But then it was a conventional story, quite unlike all those other films had been featured in by that time and would be featured in. Her travels abroad, in Europe and Australia, made her aware of the wide range of sensitivity actresses like her were capable of, which empowered her to return to the land of her birth and take part in more serious productions. The closest to a conventional flick she got to after that, needless to say, was Yasapalitha Nanayakkara’s Anjana. Ridi Nimnaya, Biththi Hathara, and Yahalu Yeheli are a veritable bunch. Watching them again, I’m struck by the subtlety that Swarna brings in, and also the fact that they are in stark contrast to her later career: in the latter film, as the less-than-empathetic sister to Nadeeka Gunasekara, she almost jars, if at all because her role is to affirm the kind of patriarchy she repudiated in all her subsequent performances. And then, of course, she got Hansa Vilak (with some apprehension: it took some convincing by Bandaranayake to get her in, given her doubts about a character that was black). In Miranda Ranaweera, she epitomises the sensual pleasure-seeker. In Palagetiyo, Vasantha Obeyesekere tried but couldn’t quite get Dhammi Fonseka to fit into that kind of figure. Fonseka’s inexperience showed. Swarna’s Miranda, on the other hand, is the exact kind of fetishised female the Sinhala cinema was afraid of depicting: the woman who had casual flings and returned to her earlier lover or husband without any qualms, and willingly endured pain and death at the hands of her current paramour. The last 20 minutes of that rather deep film are, admittedly, confusing (in a deliberate sense), which makes Swarna’s portrayal even more oblique. Does she return to her husband, does that husband gloat at Dharmasiri after the latter murders her, and does Dharmasiri murder her and that old woman at all, are hence questions which the director intended for the audience. 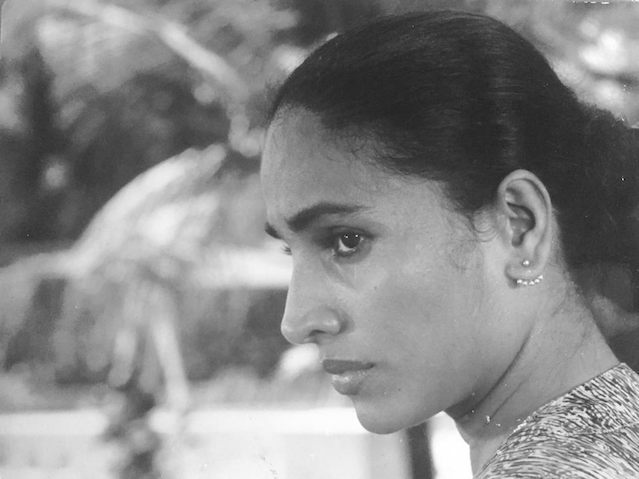 The films that Swarna Mallawarachchi got after Hansa Vilak defined an entire era. In Suddilage Kathawa, she revelled as a sensuous pleasure-seeker, who makes use of the mudalali (played by the only man who could depict such a ferocious womaniser, Somi Ratnayake) to get what she wants but then is misunderstood and killed by her own husband (Romiel, played by Cyril Wickremage). Observe the very manner in which she articulates her emotions, and you will agree with Swarna’s own summation of her character: “Strong, cunning, but ignorant and indifferent to the fact that she was being exploited.” A world away, no doubt, from the other Simon Nawagaththegama adaptation she was featured in, Sumitra Peries’ Sagara Jalaya. Sagara Jalaya is, as those who’ve read Nawagaththegama would know, a fleshed out adaptation of his short story “Ohu Mala Da Pasu”. There are stark differences between the very rhythm and pacing of this and Suddilage Kathawa, which has to do with the scriptwriter’s vision (Nawagaththegama scripted Suddilage Kathawa, while Sagara Jalaya was scripted by the gentler, more nuanced Lester James Peries) and which showed, quite discernibly, in Swarna’s performance: as the forlorn but stubborn mother, she earns the ire and wrath of an entire community that only superficially sang praises for her dead husband. To date, it remains Swarna’s most powerful portrayal, as what I would call the quintessential Sri Lankan mother. Her other roles, and the other directors she was paired with, only sped up her evolution as a mature actress. She did for Vasantha Obeyesekere what Dhammi Fonseka couldn’t in Palagetiyo: depict an adamant, abused, and rebellious pleasure-seeker. She was a virtual innocent in Dadayama, where Ravindra Randeniya pulled off the most cruel performance yet by an actor here, but in Kadapathaka Chaya (which I saw on the big screen, at Swarna’s festival) she emerges as something more: the abused pleasure-seeker who extorts from her abuser, who revels in her infidelity only because (as her brother-in-law sardonically puts it) she can’t stop or do anything else (a playwright I personally know put to me the other day that this more or less hints that she’s a nymphomaniac, a point I agree with). The intense energy contained and held back by the director, Swarna forces out in that remarkable, horrifying sequence where she throws acid on the brother-in-law’s face and kills him at a hospital. In Kadapathaka Chaya Obeyesekere is at his most mature, and in Swarna he portrays the most ambivalent woman depicted in a Sinhala film (at least until then), despite its many limitations. Prasanna Vithanage and Asoka Handagama, both very talented at tapping into their actors in whatever film they made, evinced from her only a gist of what Obeyesekere took out, for the better: her role as Nanda in Kadapathaka Chaya is unparalleled precisely because she doesn’t just suffer, she relents what she suffers because she wants to have her way in everything. So what did I take out from Swarna’s festival? That she has returned. That she was never meant to be away. That despite or because of her iconoclasm, she continues to dazzle us and not just because of her serene figure. In Age Asa Aga she becomes a virtual matriarch, which is why I think Handagama should have the last say: “With Malini Fonseka, you know what you see now is pretty much an extrapolation of what she’s acted in before. With Swarna, however, you need to prepare yourself, because virtually no two performances of hers are or can ever be the same.” What more is there to say, we can therefore ask.